Hugh Benson was in this POW camp up until his death on 12th July 1944. Stalag 4B was in Mulhberg, Germany south of Berlin, north east of Leipzig and north west of Dresden. The camp was situated between the small villages of Burxdorf and Neuburxdorf about 6km east of Mulhberg. 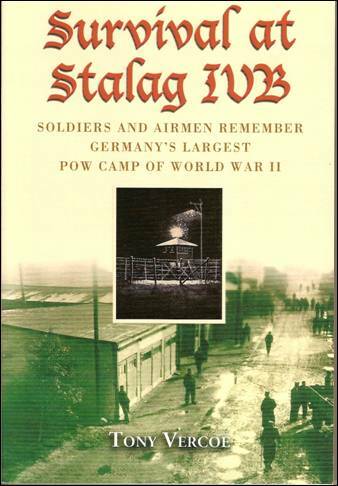 Stalag IVb was a huge camp, holding up to 16,000 men. In 1942 British, Australian and South African soldiers arrived after the fall of Tobruk. As the war neared its end and the Germans were being pressed from both the East and the West, the volume of prisoners became so large that the Germans were overwhelmed and most prisoners stayed in camp. The result was that camp numbers swelled beyond what it was designed for and the POW's suffered the consequences - lack of bunks, bedding, clothing, and most of all, food. When the Soviet Army arrived at the camp in April 1945, there were about 30,000 crowded into the facilities of which 7,250 were British. About 3,000 died, mainly from tuberculosis and typhus. They were buried in the cemetery in neighboring Neuburxdorf, 8km NE of Mühlberg. Today a memorial and a museum commemorate them. Stalag IVB site is devoid of buildings but the whole site is being preserved by the German initiative group who have erected memorials on the camp and sign posted all the locations and huts. There is also a Stadt Museum in Muhlberg containing many artefacts from the camp and a warm welcome awaits any visitor interested in the camp site. German contact details on request. Apparently the site is now wooded and an elderly resident gave the following account. "It is covered with trees because returning civilians found their homes damaged by the Russian forces and went to live in the POW camp which still had light, water and stoves. Three weeks after they had returned the Russians found them, forced them out into an adjacent field where they were made to watch whilst the Red Army blew up every building in the camp. The East German government had subsequently made the woods into a memorial to remind future generations of the Second World War".